Last week BioWare general manager Casey Hudson teased some “secret Dragon Age stuff” would be revealed sometime in December. Naturally, this led to speculation that Dragon Age would be showing up to The Game Awards 2018 in some form. 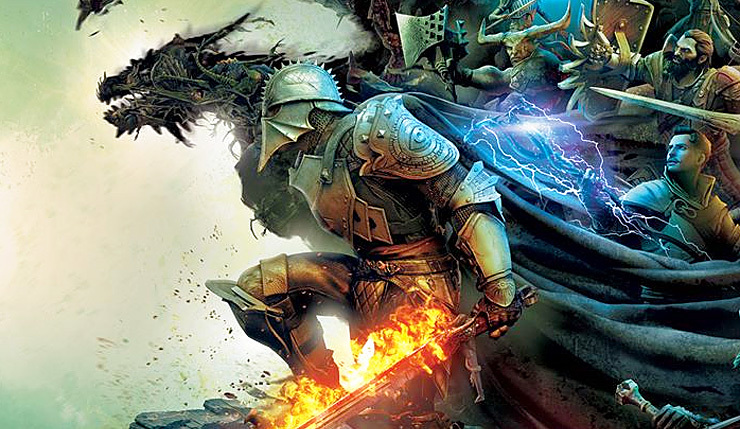 Well, according to a new inside report, the Dragon Age Game Awards reveal is pretty much a lock, but fans should maybe temper their excitement – the next game in the series is at least three years away. Per The Verge’s Jeff Grubb, BioWare hasn’t even decided on a title for the next Dragon Age game yet. Longtime Dragon Age writer Mike Laidlaw had been developing a new entry at BioWare Austin for some time, but BioWare halted production to focus on Anthem, leading to Laidlaw’s departure. The next Dragon Age has been “in limbo” for the past year or so, with BioWare planning to re-start the project from scratch, possibly to work in more live service elements. It’s somewhat surprising that BioWare is teasing Dragon Age 4 so far out, but Hudson is said to be passionate about the series and pushing hard for another entry. Also, revealing RPGs early seems to be the new hot thing – BioWare’s main competitors at Bethesda teased both Starfield and The Elder Scrolls VI at this year’s E3. Also, if Anthem isn’t received well, it would be to BioWare’s benefit to have something more traditional already announced and in the works. What do you think? Eager for more Dragon Age? Or would you rather BioWare focused on something else? The Game Awards 2018 happen this Thursday (December 6).